Dirge + BKB+ Flesh Golem + Blade Mail + Shiva's Guard = Epic HUGE! 2. Immediately press "F" for the Flesh Heap. You must do this immediately after BKB pressed otherwise you will fail turn into the giant Dirge. 3. Add blade mail effect to scary your opponent. 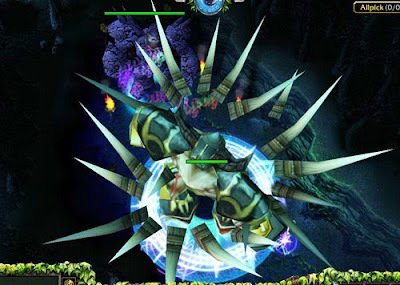 Wow, even Roshan looks tiny in comparison with Dirge. Theres another giant bug you can do if you get a courier into the dune beetle with a flying courier recipe and bkb. Change the courier type and immediately morph into flying, then bkb. 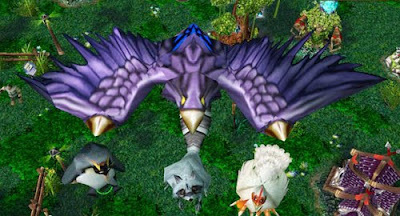 You'll get a GIANT DRUID OF THE TALON. 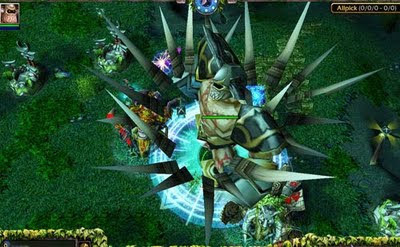 how about a giant mini pudge xD.. not so big at all as it is the size of the original pudge but its a big LOL.. used to play with it and the enemies ran away..
You have to use the item abilities after each other and then you get very big with Dirge etc. This guide is wrong. All you need is activating ulti right after bkb. If you use the items in the same order as in the pictures, it won't work. you can try with another wide screen pc for larger effect..